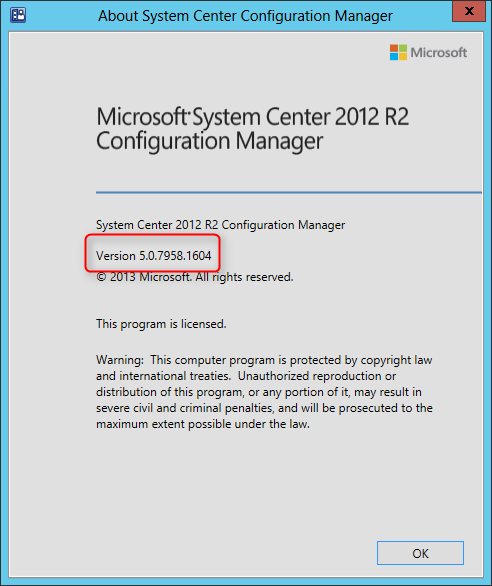 Here’s a step-by-step SCCM 2012 R2 CU5 Installation guide. 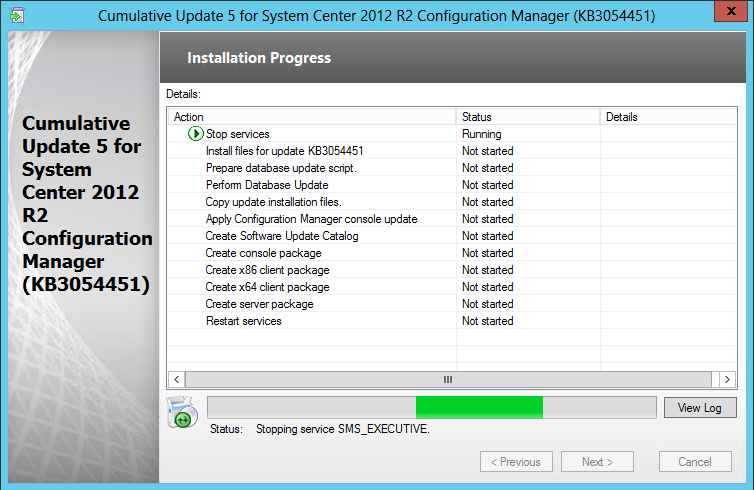 Installing SCCM cumulative updates is very important to your infrastructure. It fix lots of issues, which some of them are important. 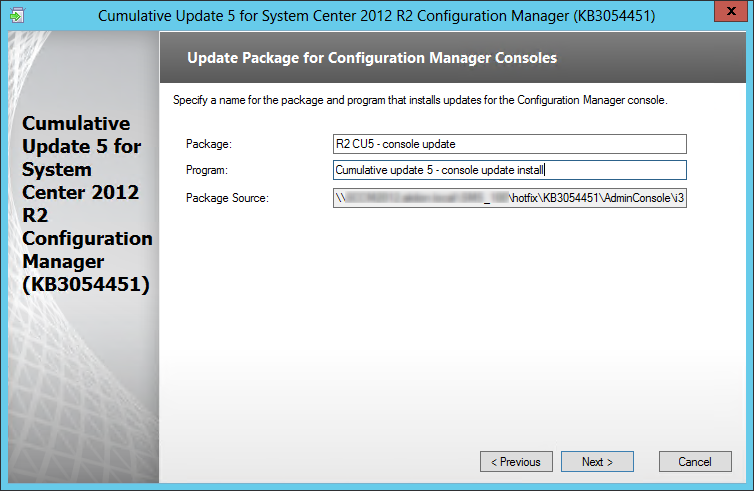 As this is a cumulative update, you don’t have to install prior CU(1,2,3,4) before installing CU5. CU5 contains all the fixes included in previous CU. There’s no new major functionality in CU5. It mostly applies the latest KB and fixes known bugs. Follow this Microsoft Support page to see a full list of issues that are fixed. 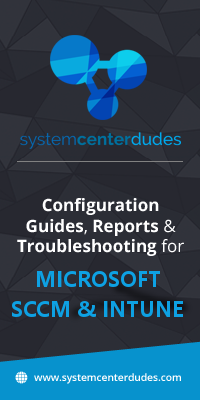 PowerShell changes are no longer included in CU as described in our previous post. You won’t find any changes in PowerShell following this CU. 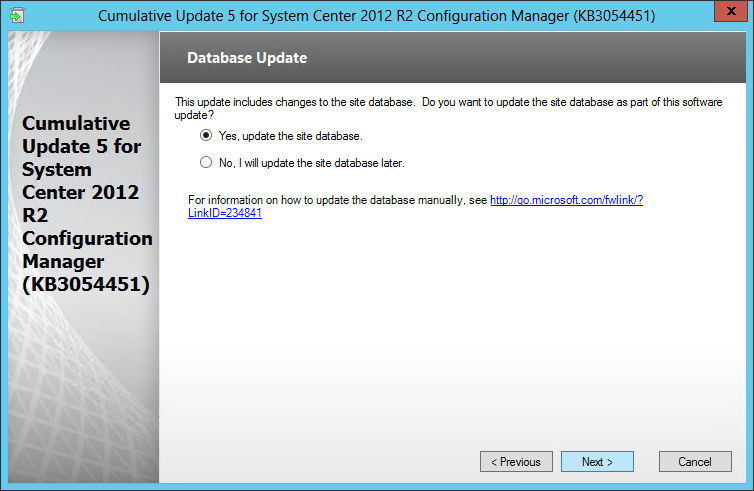 Installing this update is very similar to CU4. I’ll guide you through the upgrade process step-by-step in a standalone primary scenario. Ensure that everything is green, and click Next. On my screenshot, a restart is required before installing the CU. After setup is completed, launch the System Center 2012 Configuration Manager Console and verify the build number of the console. If the upgrade was successful, the console build number will be 5.00.7958.1604. Open registry editor and check the HKLM\Software\Microsoft\SMS\Setup\ key. If the installation succeeded CULevel key value will be 5. Server : Get-ItemProperty -Path HKLM:\SOFTWARE\Microsoft\SMS\Setup -Name "CULevel"
This update also brings the anti-malware client version to 4.7.0209.0. 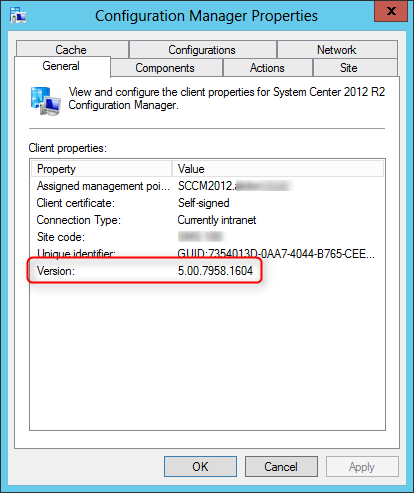 You can find the version information by clicking About on the Help menu of the Endpoint Protection client UI. 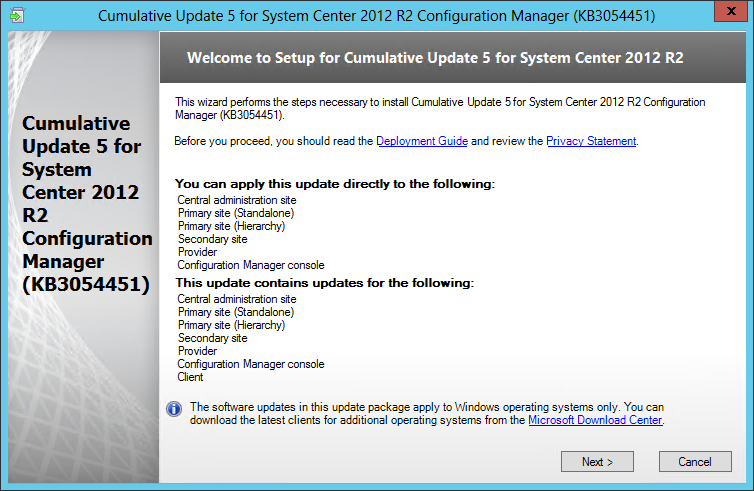 After I upgrade to CU5, do I need to push the new client to all my workstations? If I have automatic client push enabled, will this take care of it? After upgrade CU5 Management Point in Critical state ? Anything that I can do to resolved ? Very well written, easy to follow. Thank you very much. 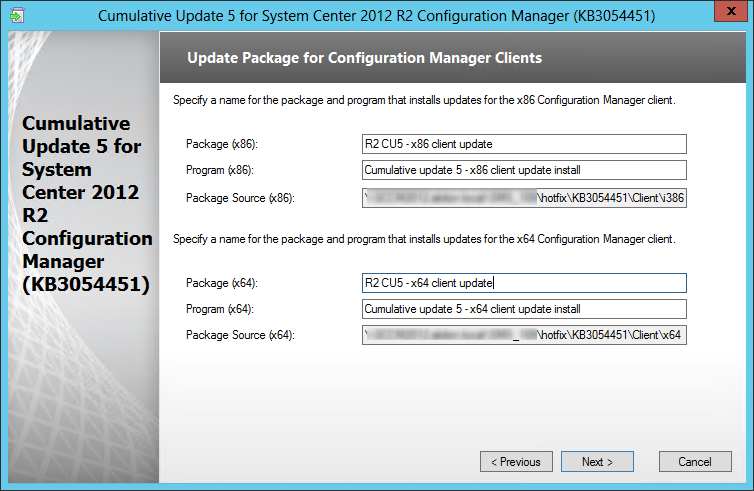 Installed CU5 without any issues, now planning to upgrade SP1. 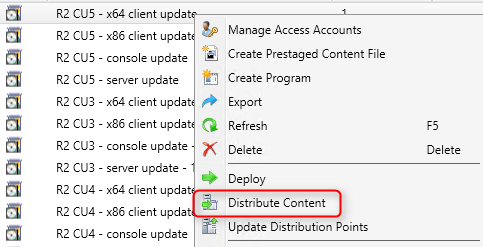 One quick question: I have automatic Client Push Installation setup, do I still need to deploy new client using collection? I’ve heard that with CU updates you can skip over previous releases, but would just like to double check. 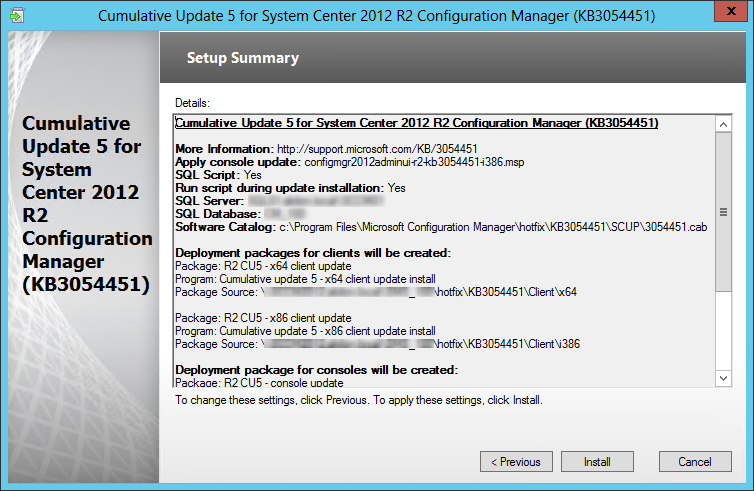 Can I skip from the original 2012 R2 release and go directly up to CU5, or would it be a safer bet to ensure environment has enough time to update clients and servers up to CU1 first? 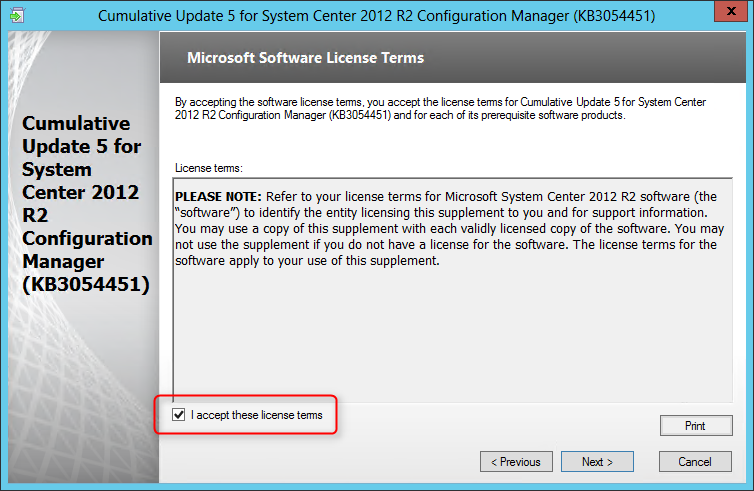 I read in a earlier comments within the Step-by-Step SCCM 2012 R2 CU3 Installation guide, that you could skip directly to it (CU3). We skipped over 2,3,4 and went to 5. 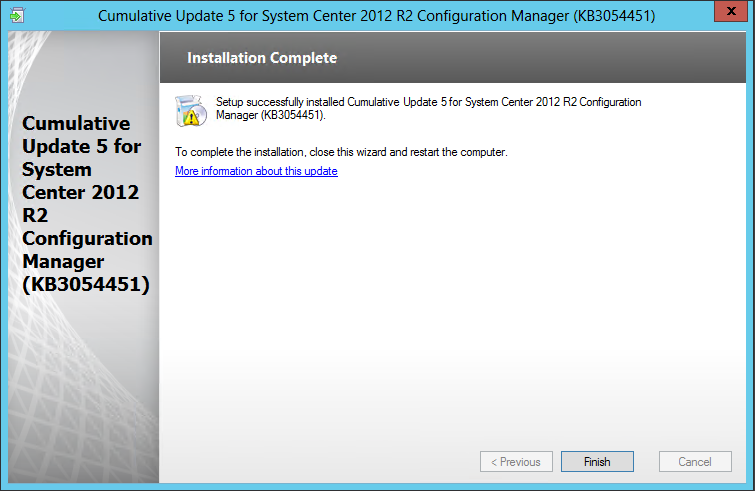 Although, at this stage I would install the SP1which system center dudes has a good tutorial on. Same process i am following but i am received one error . “Task ‘Create Software Update Catalog’ completed, state is ‘failed’ ExceptionText: Error: Setup detected an unexpected problem during installation. Error message: UpdatesPublisher catalog task: File ‘C:\Program Files\Microsoft Configuration Manager\hotfix\KB3054451\Server\x64\CM12-R2CU5-KB3054451-X64-ENU.exe’ does not exist, unable to create catalog. Check the MSI log for the update for information on why the file was not created. I had this. Copy the install exe you downloaded to the location it is looking for it in. Thx for the article, and as well for all comments. FYI: You do not need to create separate arch type collections ie. x86 and x64 as the program within the client update package already has requirements set to only update the respective arch type. As an example the x86 client program has a requirement to only update on Windows Server 2003 32-bit, 2003 R2 32-bit, and Server 2008 32-bit. Nice guide! One question. Seeing that this is not published with Windows Updates, what is the best way to stay notified of these and other hotfixes? I would like to stay on top of these as they come out. My server had no reboot pending during the pre-check, but I was asked to reboot after the install was done. I know I asked this for CU4 but would just like to double check for CU5. Will this require a reboot for my servers and client machines?